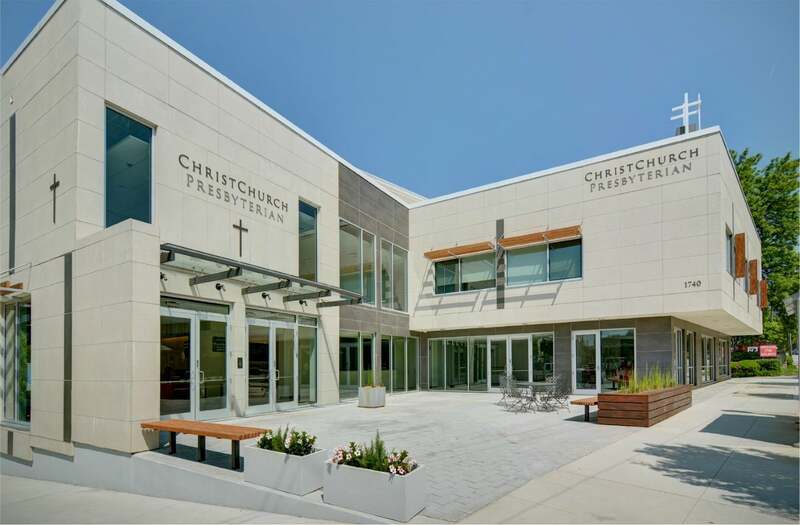 The new home of ChristChurch Presbyterian is at a prominent corner on Peachtree Street, the main north-south thoroughfare through the city. A 1960s office building occupied the site. 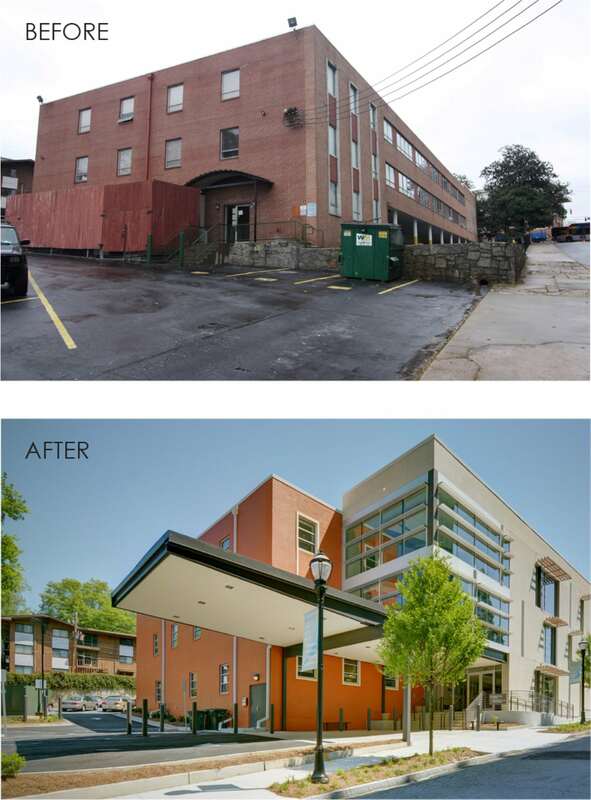 Following studies which investigated clearing the site, the final design retained part of the existing building for the classrooms, and entirely wrapped it with new additions. • to satisfy a complex program, for an art gallery, twenty-one children’s and youth classrooms, four adult classrooms, offices and a public café. The core of the project is a light-filled sanctuary, in an amphitheater configuration, expressed on the exterior as a separate form rising from the main roof. 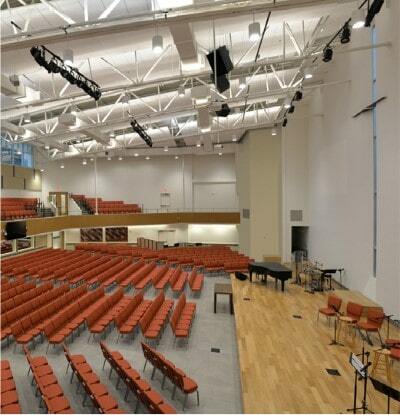 The sanctuary includes a stage that speaks to a balance between preaching and music-making, full AV installation and electro-chromatic glass. In keeping with the outreach mission, interior windows open up the sanctuary directly to the street.